Digitization is the method of transforming any form of data or information into digital format. In general the process of converting analog documents to digital is refered to as Document Digitization. We are living in a digital age, where paper is becoming a temporary medium for information. As huge quantities of paper are considered expensive to maintain, difficult to store and fraught with many risks. 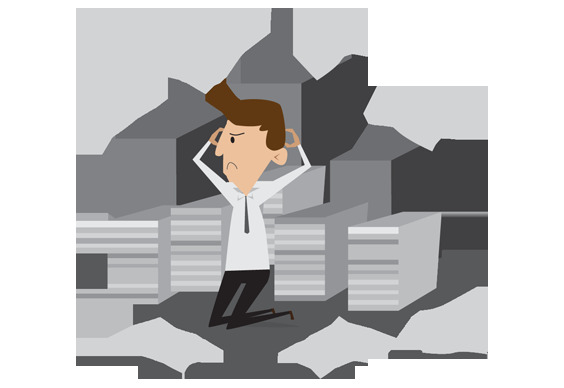 The most efficient solution is to digitize your documents and store them in a cloud-based system. 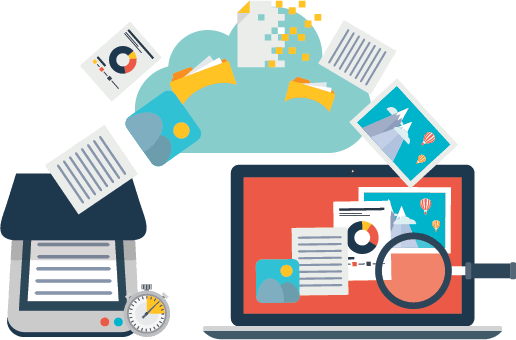 Because a cloud-based document management system eliminates the possibility of losing control over tracking of records and provides access to information in just a few keystrokes easily. Having Problem in Manintaining documents? It is the process of using scanners to convert paper documents into digital Images. The scanned documents can be converted into a image format or a PDF format. It helps in identifying and categorizing documents by ensuring easy rerival of documents and keeping it organized. Scanning Type Black & White (Single or Double Sided), Colour (Single or Double Sided). Increases productivity with less cost. Enhance security through protected access. Helps to implement electronic work flow. Prevents the important documents from disasters/damage. Provides a safe backup for your data.